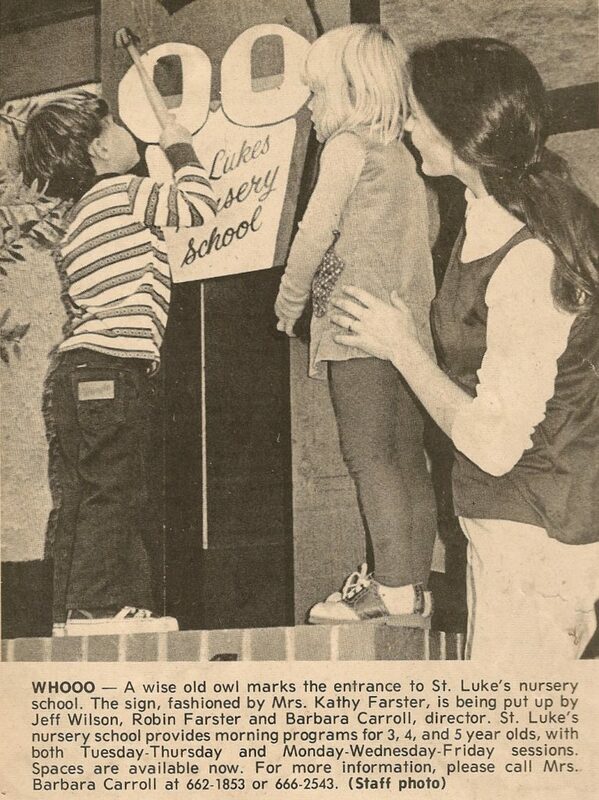 St. Luke’s Nursery School was established in 1965 as a community-wide nursery school to provide children an opportunity for sound training in an environment of small classes with personal attention. Many different activities were offered during “free play” time and the teacher’s role was to offer guidance and direction when necessary. 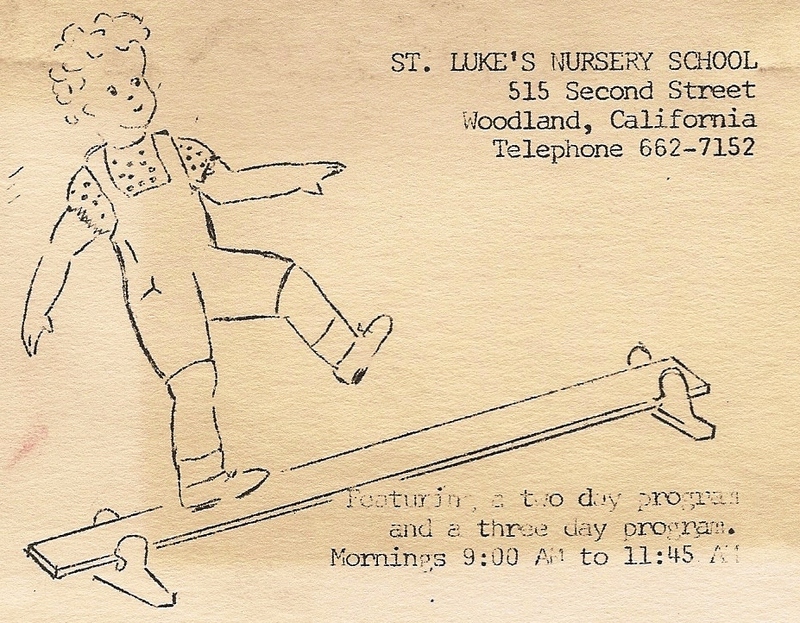 Crafts, music, field trips, indoor and outdoor play intended to enhance physical, social and intellectual development were staple activities. Click here to view a Trip to the Grocery Store from 1971. Over the years, the school philosophy has remained true to the original intent to promote school readiness through social-emotional, physical, and cognitive activities.